As dusk approaches a small Dublin suburb in the summer of 1984, mothers begin to call their children home. But on this warm evening, three children do not return from the dark and silent woods. When the police arrive, they find only one of the children gripping a tree trunk in terror, wearing blood-filled sneakers, and unable to recall a single detail of the previous hours. Twenty years later, the found boy, Rob Ryan, is a detective on the Dublin Murder Squad and keeps his past a secret. But when a twelve-year-old girl is found murdered in the same woods, he and Detective Cassie Maddox—his partner and closest friend—find themselves investigating a case chillingly similar to the previous unsolved mystery. Now, with only snippets of long-buried memories to guide him, Ryan has the chance to uncover both the mystery of the case before him and that of his own shadowy past. Richly atmospheric, stunning in its complexity, and utterly convincing and surprising to the end, In the Woods is sure to enthrall fans of Mystic River and The Lovely Bones. Book in One Word: FANTASTIC. It wasn't until In the Woods was a pick for book club that I was able to pick up my copy. Book club's consensus: They DID NOT like it. If I would've been able to go to the meeting, I'd tell you why. But me? I LOVED it. I thought this was book was just fantastic and so good and quite excellent and YES, you should read it. 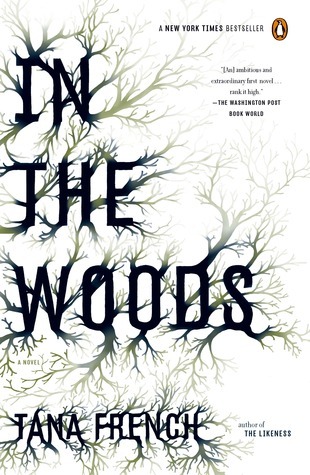 In the Woods is told from the POV of Detective Rob Ryan, who's working on solving the murder of child. Problem is, the kid was murdered in the same woods where Rob was found twenty years ago when he too was a child--and his two best friends that were with him haven't been seen since. The Dublin Murder Squad (hence the name of this series of companion novels from Tana French) doesn't know that Rob was part of that case, except for his best friend and fellow detective Cassie Maddox. Together they try to solve their current case and see if it ties into Rob's--and see if Rob can remember what happened that day in the woods. Part of what makes this book so great is that you're trying to figure out what happened and who did it, too. You want to know who killed the little girl, and you want to know if it has anything to do with what happened to Rob and his friends. It wasn't until I was a good chunk into the book before I had a solid guess as to who the killer was, and even then, I didn't even have a clue about what really happened. I was interested in the book pretty much from the start, though I didn't really start devouring it until farther in. I'd finish reading for the day and go, "Hey! I read one hundred pages!" (I'm a slow reader, and this book is longer with small font!) And before I knew it, I was invested in this story and REACTING. 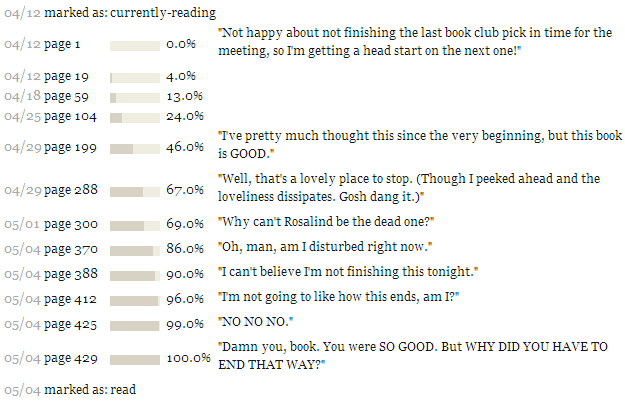 The proof is in my updates from Goodreads. Another thing I loved about In the Woods was the characters. Rob was an excellent, totally likable POV to read from (even if he went a little off the rails sometimes and some of his actions were frustrating). Cassie was a fantastic friend, and the two made an even more fantastic pair, as friends and coworkers. But my gosh, I shipped them SO HARD. Seriously. I SHIPPED IT. I liked Sam, who was also working on the case, okay, their boss was a character, and I sometimes mixed up the people who were working on the historical site where the girl was killed. But it was the girl who was killed--Katy--whose family was really interesting. They just didn't make sense. The person who seems the most sane isn't, her father claims to be innocent yet there's something sketchy about him, Katy's twin sister just seems off, don't even ask me what the heck is up with her mother, and I could not stand Rosalind, partly because she was totally crushing on Rob and no, get away from my ship. Still, the characters were great, even if they weren't great themselves. What else can I tell you about this book without spoiling it? You know, I'm not a big adult reader. But I don't know WHY NOT, especially if I'm missing out on books like THIS. While there were some terms I didn't understand, the writing was still pretty good and really worked in pushing the story forward. I wanted the answers to all the questions in In the Woods, but I also didn't want the book to end. If you're a fan of adult book or not, or a fan of thrillers and mysteries and all that or not, please read this book. It is GREAT. 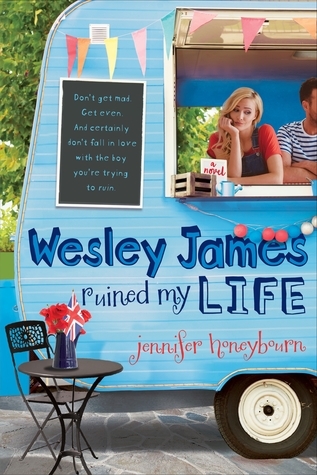 I look forward to reading the other books in the Dublin Murder Squad series (they tie together with their POVs, and the next one, The Likeness, is from Cassie's POV), especially if they're anything like this. Murder! Mystery! Mayhem! Oh my! But it's no mystery that you should read this book. Did I like it? Yes! Did I love it? Pretty much. Would I purchase it? Already have it, woohoo! Who would I recommend it to? Fans of mysteries--especially of the murderous variety--and detective work and all that fun stuff, and also those who like books that are just GOOD.